Understanding Automobile Retail Installment Sales Contracts | The Consumer Law Group, P.C. Under the federal Truth in Lending Act (TILA), car dealerships must provide consumers with detailed information about credit terms for purchasing a vehicle. In order to comply with TILA, most car dealerships in Virginia use the standard Retail Installment Sales Contract (RISC) to spell out all required information to the consumer. 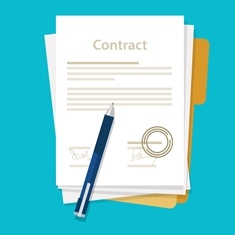 It is important to understand what this sales contract is and what it is not. What is The Retail Installment Sales Contract? You will probably be required to sign the RISC before taking possession of your new or used car if the dealership is the initial creditor. The RISC is a document that details the terms of the financing you must secure in order to get the car. If you are getting a loan yourself from a third-party lender, such as your bank or your credit union, that lender will make the credit decision, not the dealership. If you are obtaining financing with the dealer it is required to provide in writing a list of all of the costs and fees associated with financing the car and how long you will have to pay it off. The RISC is the document that will accomplish this. Then the dealer may decide to assign the loan to a third party assignee who you will make the loan payments to. If you are getting your own financing through your credit union or bank, that lender with will determine if you qualify for a loan based on your financial situation. Under TILA, the dealer is required to give the customer a copy of the contract to keep at the time the customer signs the retail installment sale contract whether you want to incur the debt on these terms. If you change your mind, however, and decide not to sign the contract, a reputable dealer will still give you a copy of the unsigned contract. This is because one of the purposes of TILA is complete disclosure of credit terms so that consumers can shop for credit in an informed manner. If consumers do not have a copy of the unsigned contract, then they cannot meaningfully shop for credit. If you decide not to complete a transaction or need more time to decide, for whatever reason, you should ask for a copy of the RISC, take it home and inform the dealer later, after you have had time to "cooldown" and make an unemotional decision. If you are not offered a standard RISC document at the time you purchase a vehicle from a dealer, you should be very cautious about proceeding with the purchase. The standard industry sales contract meets the requirements of TILA and other consumer protections. A dealer-created contract may not meet the legal requirements and may not protect you from fraudulent practices regarding your loan. If you feel that you are a victim of auto fraud, contact The Consumer Law Group, P.C. We are dedicated to protecting consumers from auto fraud in Virginia.